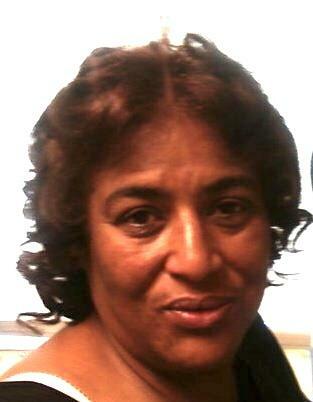 Carmen E. Feliciano Wright, age 61, departed this life on Sept 5, 2018 in Philadelphia, PA. She is the mother of Michael Feliciano, Sr.; grandmother of Carmen, Kellise and Michael Feliciano Kellier Flamer, sister of Antonio Feliciano, Karano Hawkins, Buffel Wingfield, Khalipha Wingfield and Lonjay Lively. She was preceded in death by her mother, Verona Waters. Funeral services will be 12 noon on Thursday, Sept 13, 2018 at Congo Funeral Home, 2317 N. Market St.; viewing from 10am to 11:45 am only.